Pantone's new hues are curated specifically for polyester and other synthetic blends. Well, color us excited about this news. 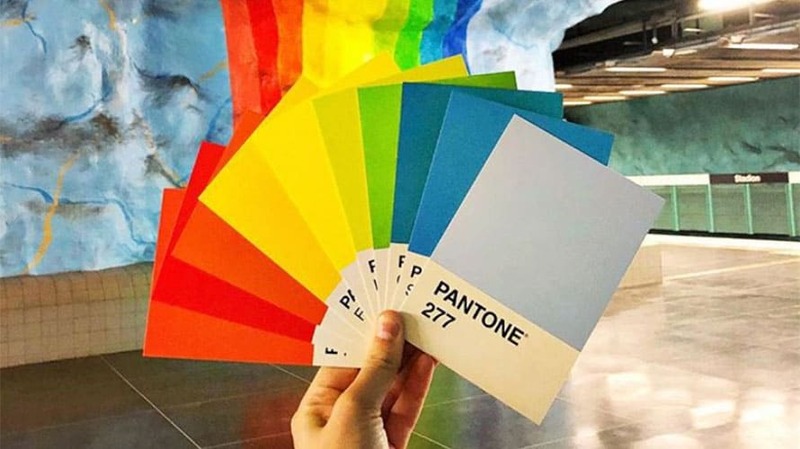 In order to meet increasing demands by consumers and manufacturers for vibrant colors, Pantone has released 203 new hues that are curated for polyester but built to “stand out” on other fabrics as well. The hues range from “timeless neutrals” to “eye-popping neons” and are intended for textiles across a variety of markets. “As new markets highlighting engineered materials continue to emerge and new inorganic materials enter the market, there is an increasing desire for more saturated colors, colors beyond those formulated for natural fibers [and] colors whose appearance displays greater hue intensity,” the company said. The new shades display a depth intended for fabrics beyond traditional dyed cottons and “could not reproduce on cotton with the same degree of clarity or intensity.” By creating a set of hues intended specifically for polyester and other synthetic blends, it takes the guesswork out of how colors will translate from swatch to material. Pantone, known for its Pantone Matching System, takes color very seriously, even releasing an annual “color of the year.” The color for 2018 is ultra-violet.